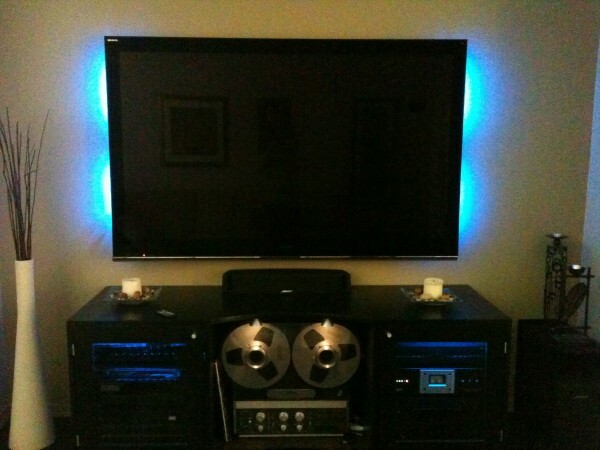 5.1 Home Theater Installation with decorative lights behind TV. 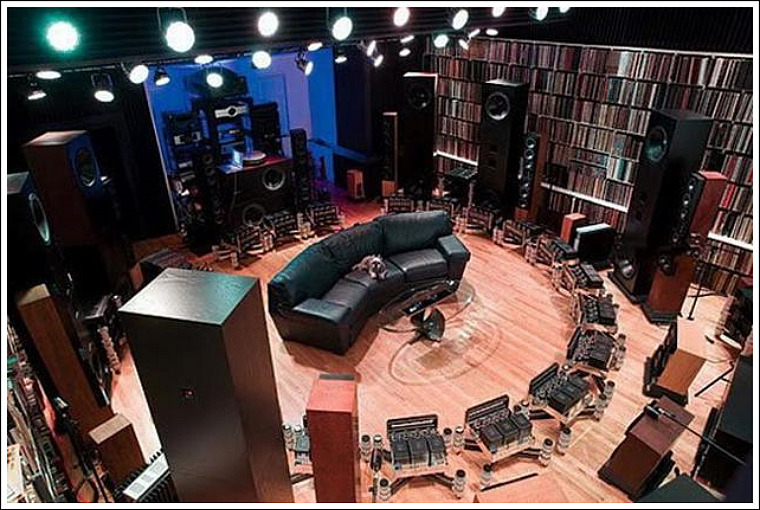 Crazy setup including home automation with sensors and audio distribution. Up to 2000W per channel. Also, a lightning truss …cause why not? 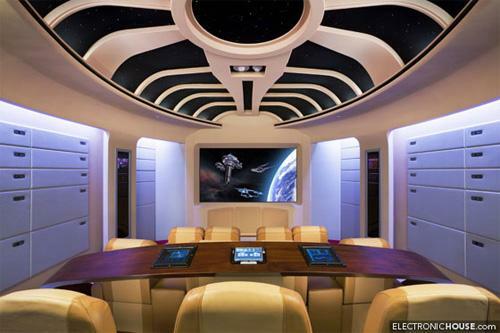 Since I just saw Star Trek over the weekend for Fathers Day, I thought I would post pictures of a Star Trek home theater. I think they went a little too far if you ask me. Images are from Electronic House Magazine. 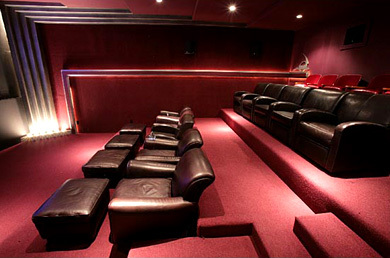 A Movie Theater or a Home Theater? 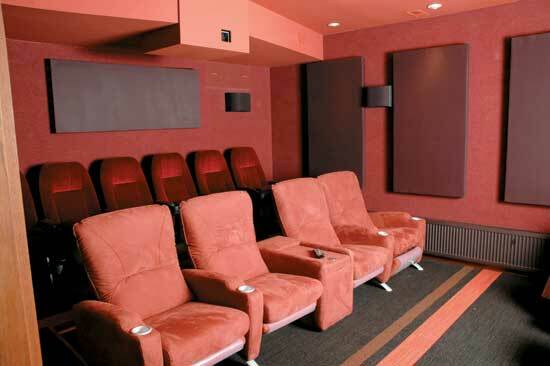 Its been a while since I posted a home theater that I can’t afford. 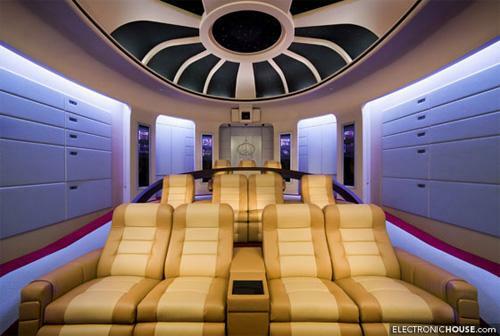 This one’s from techpuddle.com and has a total cost of over $100,000! 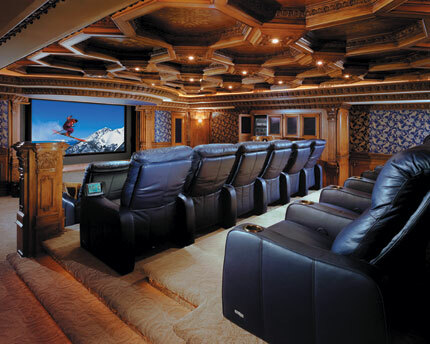 This pic is from the Pimp My Home Theater guys. 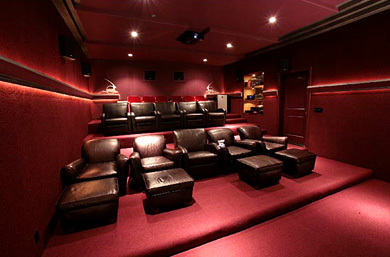 This is another home theater setup I wish I could afford. 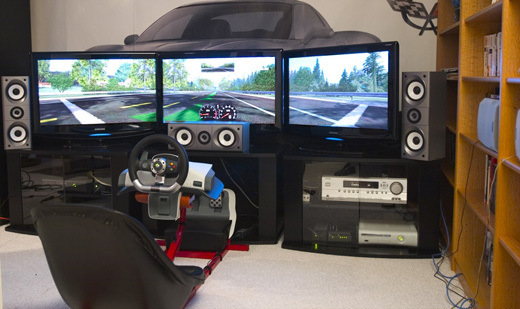 Forza 2 allows for split screen so I’m guessing this guy has 3 Xbox 360s. The picture is from Gizmodo’s website. 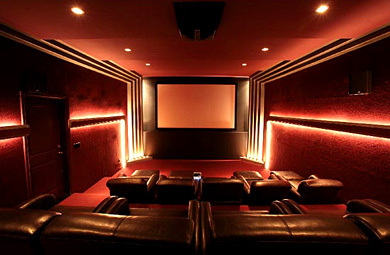 OK, that’s not my home theater room, but I wish it was. 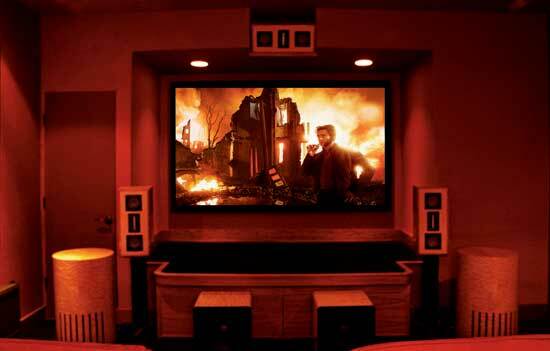 Since I don’t have a home theater, I’m using one from Sound & Vision magazine. 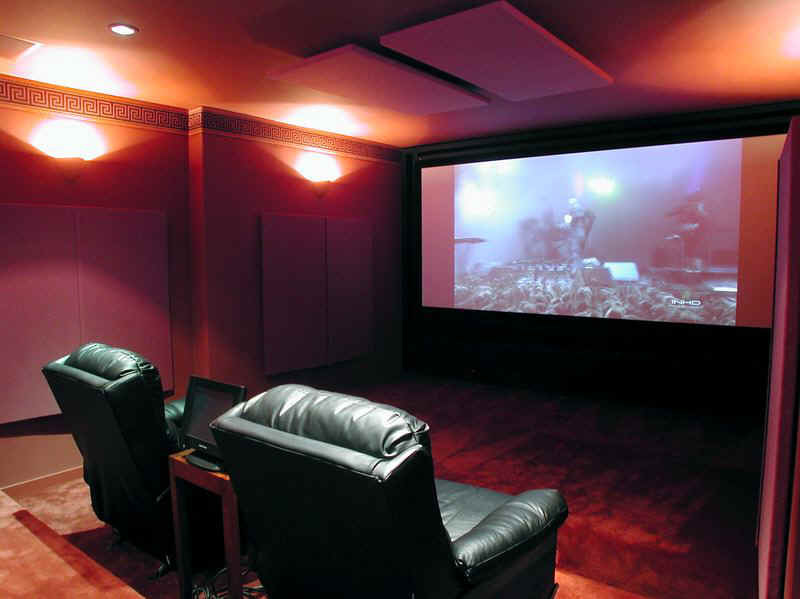 Whoever this is has a dedicated home theater room with a Sony KDS-R50XBR1 50-inch SXRD rear-projection HDTV. Lucky.